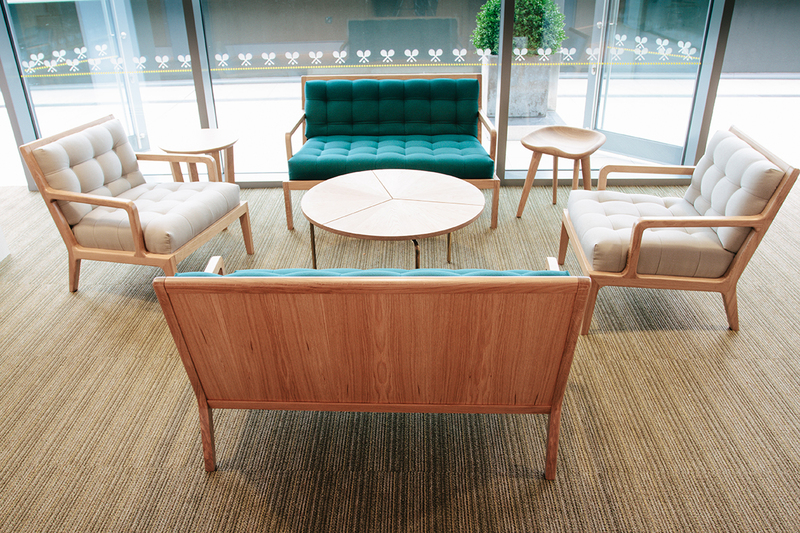 As well as our range of ever-evolving products, we create inspiring and bespoke furniture for corporate and commercial environments. This smart and stylish hotel is part of the St Pancras Hotels Group. 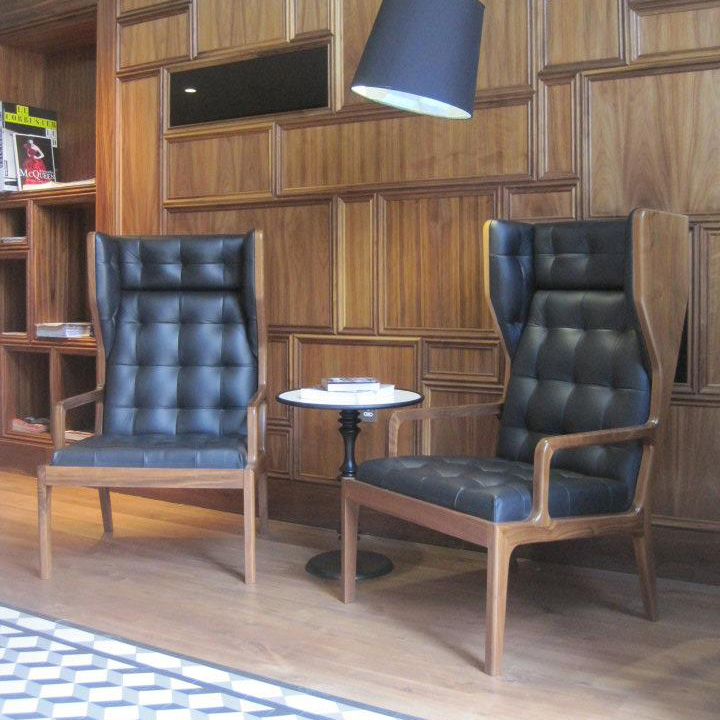 Here are two of our Wingback chairs in Walnut and Black leather pride of place in their reception. 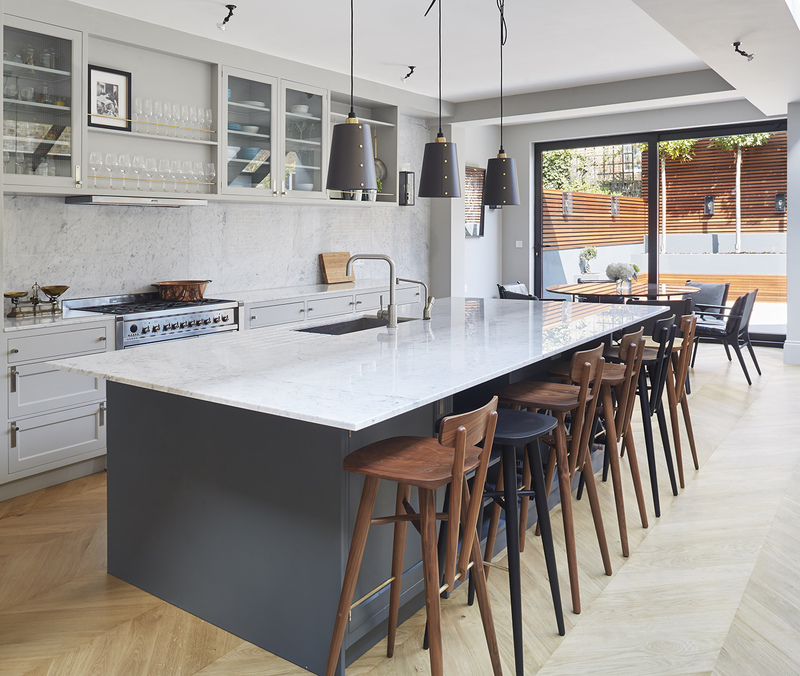 We absolute love the bold fabric choice by Tessuto interiors for this project. There was a mixture of jungle prints, velvet’s and geometric patterns on our Norton Armchairs, sofas, side chairs and ottomans. 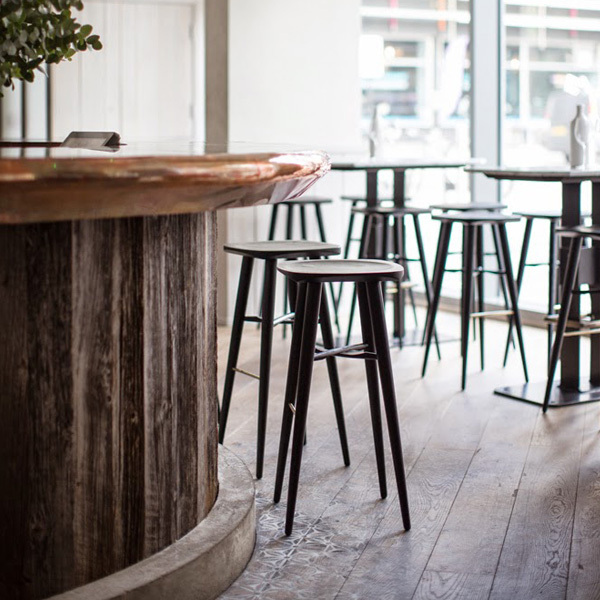 We recently worked with Alexander Waterworth interiors and Conran contracts to supply our Holton stools for the new Tapas revolution restaurant in Shoreditch. The black lacquered Ash stools with a brass foot rail detail worked perfectly in the restaurant from an aesthetic point of view and the scooped out seat pan means extra comfort for the diners. The James UK team went for a group outing when the restaurant first opened. Fantastic food and even better furniture! VCCP have been a great customer. They have grown significantly over the years due to their unique approach and creativity in branding and advertising. 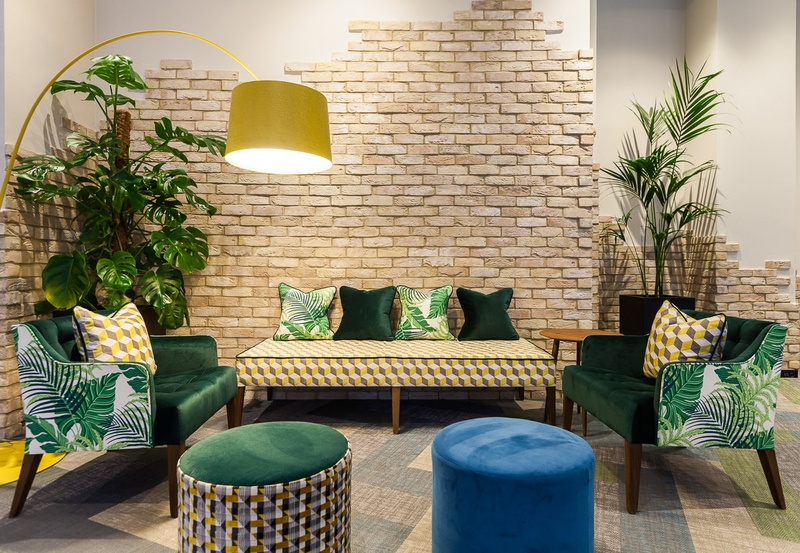 As they have grown so have their offices and they wanted to portray this same amount of creativity in their work space which is why they have always trusted James UK to furnish their breakout spaces and meeting rooms with a mixture of Norton, Holton and Bespoke pieces. The most recent of which was a Conference table with in built cable data power and cable management to keep the table clean modern and cable free. Our Lucan Sofa and Armchairs and our Aiken range were used in the hospitality lounges at the world famous Wimbledon tennis club. 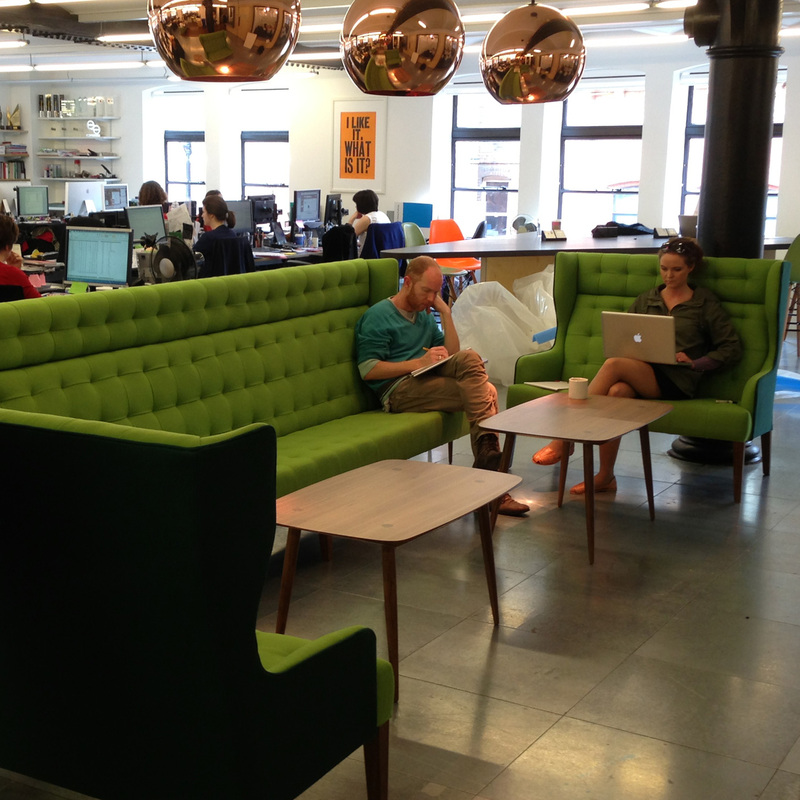 They went for Oak frames with the upholstery in their signature colours, Green, Cream and royal Blue.